Artwook is an art shared ownership trading platform based on blockchain technology. The new platform claims to integrate blockchain technology into the traditional art markets and is grounded in a shared economy. Here, we speak to Artwook’s CEO Rui Cai and CATO Qinwen Wang on how the new platform was founded, how it works and their hopes for the future. Can you tell us a bit about your background and how Artwook came to fruition? Rui: ArtWook is founded and solely funded by ALee in early 2017. He has been an art collector and dealer for years and understands the ins and outs of the industry. His wife, Mrs. Da, is an early preacher of the blockchain technology in China and has successful invested in cryptocurrencies. They both felt that blockchain technology has the potential to revolutionize the art market, and truly democratize fine art investment. I co-founded two high-tech start-ups in U.S., in all my ventures I am looking to bridge the gap between technology and the market. Mrs. Da has been a very close friend of mine since high school. After discussing the vision of ArtWook with the couple, I saw that the platform had the potential to not only improve the efficiency and transparency of art trading, but also to address a challenge for hundreds of millions of middle-class Chinese – to find an alternative way to invest their fast-growing wealth. I accepted the invitation and joined ArtWook in the summer of 2017. 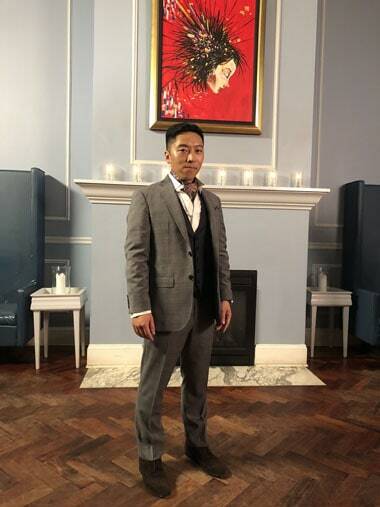 Qinwen: I have always been dedicated to art & tech and am also part of the Christie’s alumni. My tech background can be traced back to my VC career in Kuan Capital. Whilst here, I focused on Intellectual Property and helped Israel and US tech ventures tap into the Chinese market through the Co-Innovation Investment Model. 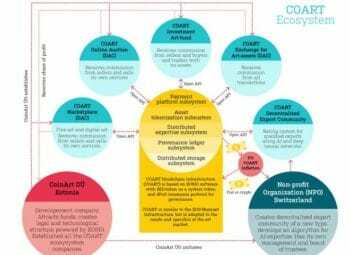 I am the founder and an artist of QW Art Advisory (established in 2012) and have co-founded an online blockchain education service provider called HashBang. Sharing a common vision with ArtWook, I joined the founding team in 2017 to bridge Art & Tech by utilizing technology to make art more accessible to the public, and to promote the value of art in the tech community. You’ve set your main objective to allow middle-class Chinese to invest in fine art. Is this your main target audience? If so how big is this market and what do they look for when purchasing art? Qinwen: Our tokenized crowdfunding model substantially lowers the entry barrier of fine art investment and we welcome all art lovers who appreciate and value either Chinese antiquity or western art to use our platform. In the past decade, Chinese people have started to embrace “Art as a lifestyle” thanks to accessible world-class exhibitions, the rise of private museums with world class collections, and thousands of art-related educational programs. According to Bain & Company, the number of Ultra High Net Worth Individuals (UHNWI – investable asset >50m RMB) and High Net Worth Individuals (HNWI – investable asset of 10m-50m RMB) in China has been growing at 24% CAGR between 2006 and 2016, and have reached estimated 290,000 and 1.9 million respectively in 2017. Many Chinese corporations and individuals have opened private museums / galleries to support and introduce art to the public, e.g. Suning Gallery, Fosun Foundation Art Center, Long Museum by Liu Yiqian and Wang Wei couple, How Art Museum by Zheng Hao. 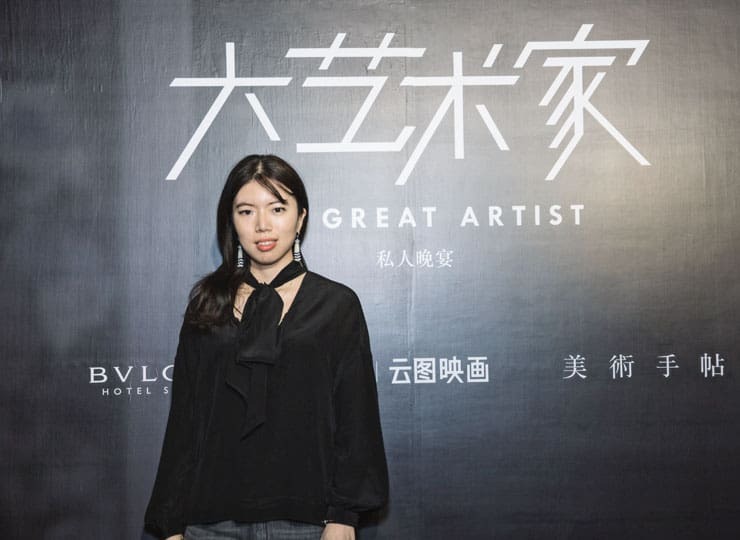 There has been a more than ten-fold growth of Artron Chinese Master’s index since 2000, demonstrating the enthusiasm for art collecting among this group. At the same time, the middle-class Chinese have showed a heightened interest in art in comparison to previous years. In 2014, 400,000 people attended the Monet exhibition in Shanghai within three months. There were over 3,300 educational art events in Shanghai alone in 2017, a twofold increase to the previous year. What happened in Shanghai is just one example of a broader trend in China. The 400 million middle class Chinese with 100,000 to 500,000 RMB annual family income (according to the National Bureau of Statistics of China) is a group too large to ignore. The economic growth in China over the past three decades and the saving habits of Chinese people have directly contributed to the increase of personal investment. However, the stock market has been volatile in recent years; many people think real estate market has entered uncertain territory; tens of recently-emerged and sought-after P2P lending companies, some of which have raised tens of billions Yuans from millions of middle-class investors, have turned out to be scams. The middle-class Chinese have been forced to find alternative investment opportunities, with many turning to art. For thousands of years, collecting art such as traditional Chinese Calligraphy and Ink Wash Paintings has not only been a display of social and economic status, but a sound investment. Artists like ZHANG Daqian and QI Baishi are the household names in China. Unfortunately, those artworks are out of reach of middle class or even HNWIs. To encourage the collecting and trading of art and to meet the high demand from middle class, the Chinese government has opened 26 regional Culture Asset and Equity Exchanges to the public. Some of them have tried the offering of securitized art assets to attract middle class investors. Meanwhile, E-commerce giants such as Alibaba and JD.com have also opened the online art market selling wide range of artworks. 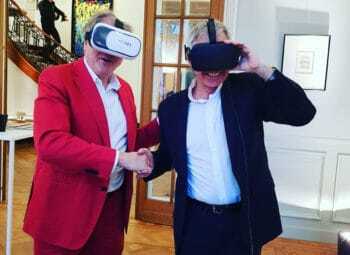 The social trend and enthusiasm for art investment at the moment presents a perfect time and great opportunity for ArtWook to democratize fine art investments through blockchain technology-powered, fractionalized ownership investment model. You mentioned in your last discussion that China is going mobile and the importance of the shared economy. Can you tell us more about the radical changes that are happening in China at the moment? Qinwen: Nowadays Chinese consumers are very open to changes and eager to try new things. Established Chinese tech giants and promising start-ups backed by deep pocket VCs have been increasingly innovative in introducing new mobile applications/services and testing new business models. The adoption and growth rate of some Chinese Apps have dwarfed their Silicon Valley counterparts. The almighty WeChat acting as a prime example. It is no longer just a messaging app, but also a mobile wallet, a shopping portal, a news outlet, and a platform that allows third party merchandise or service provider to build mini-apps running within WeChat. People can pay their utility bills, schedule doctor’s appointments, buy train tickets or even secure and check their spot on the waiting list at popular restaurants through WeChat. It has become an important marketing channel for businesses. China is the largest market of mobile payment with transactions approximated RMB294.97 trillion ($43.4 trillion) in 2017, an upsurge of 41.4% from 2016. From the luxury stores in the magnificent shopping malls to the street vendors, you rarely see people paying with credit card or cash now. Simply scanning the QR code with WeChat pay or AliPay app and you are done. At the same time, China is also the largest ecommerce market of the world with $672 billion annual online sales, and the ecommerce share of total retail sales reached 15.9% according to a report published by business.com in 2017. Not just millennials, the majority of Chinese including the older generations and people in remote areas are increasingly shopping with E-Commerce. The shared economy model was invented in U.S., but Chinese start-ups have taken the concept to another level. China has replicates like Didi to Uber, but also created its own unique shared economy start-ups such as Ofo and Mobike, two bike-sharing Unicorns (start-up valuated at $1 billion or above). Pingduoduo is another shared economy shining star recently came to the front stage. Started in September 2015, the group buying deal provider (customers teaming up with other customers to buy the same item in bulk to get discount) acquired 200m users in two years, became the second largest E-commerce platform by daily sales only shy of Alibaba, and went public on Nasdaq in 2018. 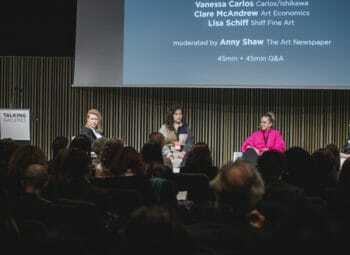 The transformation of shopping habits and positive attitudes towards the shared economy influenced the art market too. Data from Taobao auction shows that over 50% of buyers from its platform buying Chinese antiquity & art collectibles (includes second-hand luxury) through online auction were millennials. 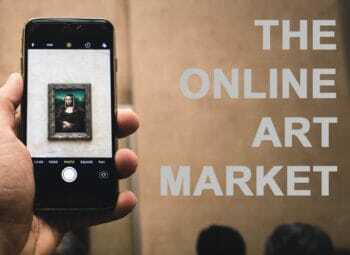 Survey results from JD.com shows that more than 25% of the online buyers, typically the new middle-class, expressed interest in art, and 78% of the consumers claimed they had purchased art online after seeing Internet and social media promotion. When will the first sale take place and what kind of artworks will you be selling on Artwook? Rui: We are planning our first sale in Q1 2019. The platform itself has been built and tested. We have secured works and objects from Chinese antiquity and are now seeking western artworks. The announcement of the first sale is coming out soon. Artwook is founded on blockchain. Why do you need blockchain to fractionalise an art asset? Can a trusted centralised application do the same job? Rui: Using a private company to joint-invest in art and other assets is common. Normally, the number of owners of the company is limited and the shares are illiquid. 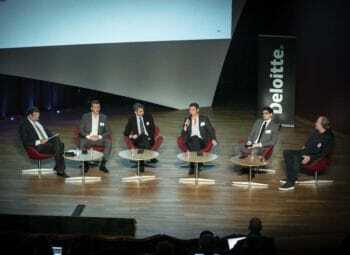 The crowdfunding concept has gained significant momentum in the past decade. 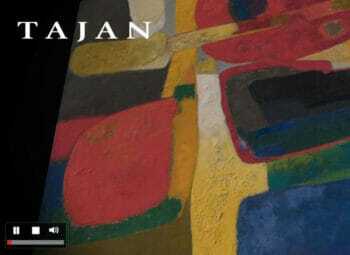 The current structure and governance model of private entity cannot keep up with the demand of joint art investment at the crowdfunding scale. 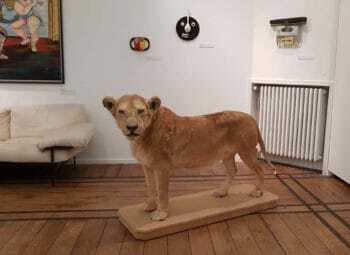 The decentralized ledger and the tokenized shares that the blockchain technology enables make fractionalizing an art asset truly feasible. It brings transparency to all the shareholders and makes the tokenized shares, which will be able to be traded in Artwook’s exchange, a truly liquid asset. The smart contract feature of blockchain technology allows the performance of credible transactions without third parties. E.g. if a crowdfunded bid is successful, the system will automatically issue tokenized share to the investor. If not, the payment will be automatically returned too. Some of the voting features of the blockchain technology also bring democracy and efficiency to the company governance when there are hundreds, or often thousands of shareholders. Our exchange will include the option for all the shareholders to vote if they accept the term to re-sale the artwork on the blockchain. That vote would take months to collect and verify done using the traditional method. Lots of blockchain ventures have been initiated by people with no art background. Are you responding to a need felt by art industry leaders, or are you applying a technology to an industry? Qinweng: Outsiders can shatter the stereotypes of art market, whilst at the same time bringing a new perspective and sharing new technologies. 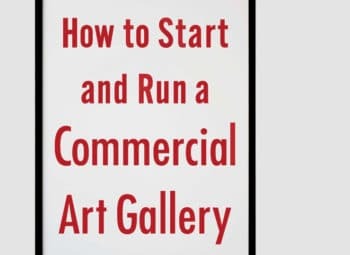 Stakeholders have been following the traditional model and unspoken rules of the art industry for centuries – this is not going to change overnight. That’s why ArtWook consists of leaders from both the Art and Tech worlds. We are not here to completely disrupt the old art industry. 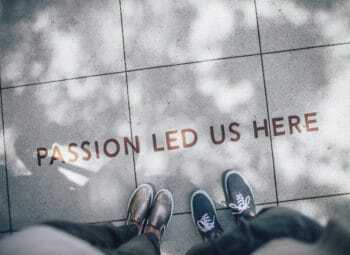 Rather, we work with all the stakeholders to bring meaningful changes to the industry, to attract new customers, to lower the cost of transactions and to make the market more prosperous. As art people in the tech world, I do see the gaps. That’s why I am also co-producing a column course on “Art transaction in the blockchain world” through HashBang, so both worlds can engage and understand each other better. In the last 12 months, we have seen the rise and fall of many Cryptocurrencies. Will you need a crypto coin to implement your business model? Rui: ArtWook platform will create unique tokens for each work sold on our platform. Those tokens will only be traded on our exchange in the future, not on public exchanges like Binance. We did issue AKC token, which will be traded on public exchanges, to be used to pay for the transactions on our platform. The AKC token is the “gas” of the transactions on our exchange. Our user can also use AKC to pay for the commissioning at a discounted price. What is your take on security token? Rui: It is an attempt to make security trading more efficient at a lower cost. There are too many intermediaries in the traditional financial market. Imagine a world without paper stock certificates and brokers, and people own and trade securities directly with the touch of a finger on their phone. Their asset is stored in their own crypto wallets in place of brokers/custodians. Technology simplifies things and improves efficiency. That’s exactly what blockchain technology can bring to the traditional financial market. More importantly, the security token offering (STO) and trading can be executed under the current legal framework. Art exchange platforms may create “pyramid” scenarios in which marketplaces solicit more investors to retain past investors and to distribute expected returns to departing investors. Is there a risk of creating Ponzi schemes? How does one ensure market supervision to avoid price manipulation? Rui: As a matter of fact, some Chinese government-controlled artwork exchanges have tried securitizing bundled art assets and went through “pump and dump” scenarios which led to the shutdown of such offerings. One of the main reasons why the experiment failed is that many underlying art assets had not been traded in the secondary market. There was no consensus on the valuation of the assets and no historical data as reference. Our approach to mitigate the risk of speculation is to provide full transparency and guide our users to well-informed investments. We only select artworks that have a recorded trading history in the secondary market and proven historical appreciation. The detail of each crowd investment sale will be accessible, and we will also post news of transactions of similar artworks to be used as reference. In this way, users will have all the relevant information presented to them before making the decision. Because of the nature of the decentralized ledge, all the token transactions can be viewed by all users, which will expose the risk-takers. If we see extreme price volatility of a certain work due to suspicious trading, we reserve the method to suspend the trading and investigate. Initially, we will only open the exchange to users who have participated in the crowdfunding events. We will gradually introduce new users to the exchange to increase liquidity. We have seen the enthusiasm of fractionalized ownership trading at government-controlled exchanges. We are not so much worried about the lack of liquidity, but how to test the water in a controlled manner. How do you differentiate yourself from your direct competitors? Is there room for two or more marketplaces like yours? Qinwen: The Chinese market is quite different to others, and the barrier of entry is high for foreigners. 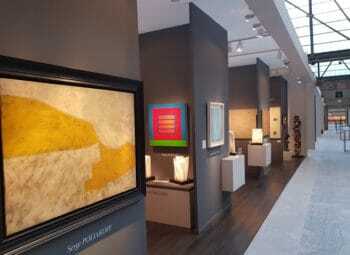 The understanding of the Chinese art market, politics and culture, the established local connections and the global perspective make us unique in this field. We position ourselves to be a gateway to connect western art world to the Chinese market. While we are specialized in China-related art and antiquities, we also want to introduce western art to hundreds of millions of potentially new Chinese buyers and investors. Blockchain is an open-sourced technology, and the blockchain community values collaboration, consensus and democracy. Because the crowdfunding and fractionalized ownership model makes fine art investment affordable to the ordinary person, the market potential is too vast for the winner to take it all. We will make China, one of the three largest art markets, our priority to start with. 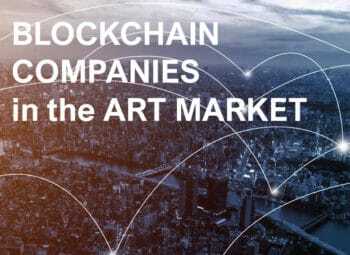 We are open to collaborate with others in the field and share resources, to demonstrate what changes blockchain technology can bring to the centuries-old art market.